• This month I decided to write about forgiveness since the subject of “forgiveness” came up into my life from so many avenues and opportunities to create anew all around me and in the lives of my clients too. Forgiveness is about learning to see “who we are” and love “who we are” and love all beings without conditions from the heart. Forgiveness and compassion are powerful tools and synergies to activate and invite peace, love, and harmony into our lives and on the planet. When we consciously create a willingness to forgive we are activating this process—we then open a doorway of freedom leading to an expanded awareness of our God-Self and of our God-given gifts. We then experience increasing peace and harmony and we embrace divine love. Forgiveness is about taking responsibility for what we create—it is living in the awareness of our choices and true power of love—a power of love we choose to embrace with grace and to abide by. Forgiveness is one of the most powerful healing tools. When we forgive and make peace with life we move into alignment—we invite and allow our abilities to receive and thrive. When we forgive and move into compassion we open our hearts—we learn to see and love the true being of light we are and we are free to love all beings—we then uplift all beings and help all human beings to express their God-Self. Our lives transform! When we forgive we are helping our loved ones who have passed away to move into the Light of God with love—we become a channel of peace and harmony in all dimensions and levels of life. We allow peace, love, and joy for everyone in all dimensions of life—we belong to that source and flow of love—it is a gift. • We are responsible for what we do and create and we are also responsible for forgiving others and ourselves—it does not serve any high purpose to live with resentments and pain. We all make mistakes or “what we call mistakes”, and as we take responsibility for our “mistakes” it is important that we learn from these “mistakes” and grow, receive and see the wisdom born from our decisions and actions—so that we do not perpetuate energies that are not serving the highest good—but that we learn to receive the gifts of wisdom and become better human beings working for the highest good of all life. • Prayer of the month: I now consciously choose to invite blissful serenity and loving kindness into my life. In the sacred space of my heart I choose to forgive myself, all beings, and all of life. I choose to live from an awareness of my divine essence and light. I am a doorway of light—I am a ray of light emanating from the radiance of God/Source. I breathe Love in the Light That I Am, now and always. I listen to the truth of my heart and express that truth with reverence and loving kindness. Truth comes from the Heart. As I forgive I open a sacred space to “be” a Doorway of Light, inviting increasing light, love, peace, and harmony into my life and into the world. 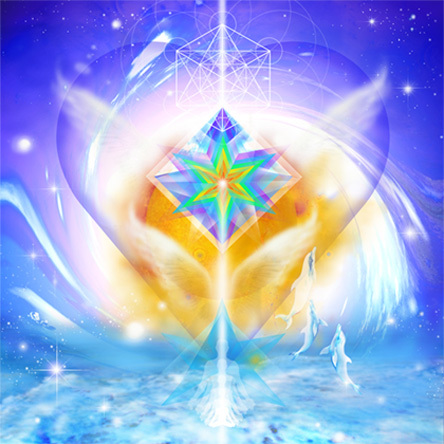 Be the Lightworker you are!